Prime Minister Recep Tayyip Erdoğan has given orders to the relevant ministries to preserve Istanbul's historic skyline, which is under threat by new constructions that are often tall buildings or skyscrapers that loom behind the city's centuries-old mosques and their minarets. Culture and Tourism Minister Ertuğrul Günay, said in televised remarks on Wednesday, “Giant buildings across Istanbul are damaging the city's skyline. 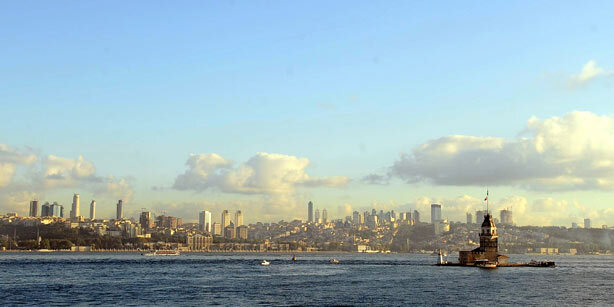 Considering this, the prime minister has given instructions to the Istanbul municipalities to come up with plans to preserve the historic skyline.” He noted that measures to protect the city's skyline could include demolishing existing buildings where necessary. Recalling that 10 stories of the Istanbul Park Hotel in Taksim's Gümüşsuyu district were demolished in 1993 on the orders of then-Istanbul Mayor Nurettin Sözen, Günay stated that no buildings that spoil the skyline will remain in the city under a similar initiative.